*Business users only. Initial rental and VAT applies. Available on new leases of model shown when ordered and proposed for finance between 1st April 2019 and 30th June 2019, registered and financed by 30th September 2019 through Lexus Financial Services on Lexus Contract Hire. Advertised rental is based on a 36 month customer maintained contract at 8,000 miles per annum with an initial rental of £1,632 +VAT. Excess mileage charges apply. You will not own the vehicle. Other finance offers are available but cannot be used in conjunction with this offer. Offer may be varied or withdrawn at any time. At participating Lexus Centres. Lexus Centres are independent of Lexus Financial Services. Indemnities may be required. Finance subject to status to over 18s only. Lexus Financial Services is a trading name of Toyota Financial Services (UK) PLC; registered Office: Great Burgh, Burgh Heath, Epsom, KT18 5UZ. Authorised and regulated by the Financial Conduct Authority. Terms and conditions apply. **Business users only. Initial rental and VAT applies. Available on new leases of model shown when ordered and proposed for finance between 1st April 2019 and 30th June 2019, registered and financed by 30th September 2019 through Lexus Financial Services on Lexus Contract Hire. Advertised rental is based on a 36 month maintenance included contract at 8,000 miles per annum with an initial rental of £1,746 +VAT. Excess mileage charges apply. You will not own the vehicle. Other finance offers are available but cannot be used in conjunction with this offer. Offer may be varied or withdrawn at any time. At participating Lexus Centres. Lexus Centres are independent of Lexus Financial Services. Indemnities may be required. Finance subject to status to over 18s only. Lexus Financial Services is a trading name of Toyota Financial Services (UK) PLC; registered Office: Great Burgh, Burgh Heath, Epsom, KT18 5UZ. Authorised and regulated by the Financial Conduct Authority. Terms and conditions apply. *^Business users only. Initial rental and VAT applies. Available on new leases of model shown when ordered and proposed for finance between 1st April 2019 and 30th June 2019, registered and financed by 30th September 2019 through Lexus Financial Services on Lexus Contract Hire. Advertised rental is based on a 36 month customer maintained contract at 8,000 miles per annum with an initial rental of £1,680 +VAT. Excess mileage charges apply. You will not own the vehicle. Other finance offers are available but cannot be used in conjunction with this offer. Offer may be varied or withdrawn at any time. At participating Lexus Centres. Lexus Centres are independent of Lexus Financial Services. Indemnities may be required. Finance subject to status to over 18s only. Lexus Financial Services is a trading name of Toyota Financial Services (UK) PLC; registered Office: Great Burgh, Burgh Heath, Epsom, KT18 5UZ. Authorised and regulated by the Financial Conduct Authority. Terms and conditions apply. **^Business users only. Initial rental and VAT applies. Available on new leases of model shown when ordered and proposed for finance between 1st April 2019 and 30th June 2019, registered and financed by 30th September 2019 through Lexus Financial Services on Lexus Contract Hire. Advertised rental is based on a 36 month maintenance included contract at 8,000 miles per annum with an initial rental of £1,788 +VAT. Excess mileage charges apply. You will not own the vehicle. Other finance offers are available but cannot be used in conjunction with this offer. Offer may be varied or withdrawn at any time. At participating Lexus Centres. Lexus Centres are independent of Lexus Financial Services. Indemnities may be required. Finance subject to status to over 18s only. Lexus Financial Services is a trading name of Toyota Financial Services (UK) PLC; registered Office: Great Burgh, Burgh Heath, Epsom, KT18 5UZ. Authorised and regulated by the Financial Conduct Authority. Terms and conditions apply. **^Business users only. Initial rental and VAT applies. Available on new leases of model shown when ordered and proposed for finance between 1st April 2019 and 30th June 2019, registered and financed by 30th September 2019 through Lexus Financial Services on Lexus Contract Hire. Advertised rental is based on a 36 month customer maintained contract at 8,000 miles per annum with an initial rental of £1,932 +VAT. Excess mileage charges apply. You will not own the vehicle. Other finance offers are available but cannot be used in conjunction with this offer. Offer may be varied or withdrawn at any time. At participating Lexus Centres. Lexus Centres are independent of Lexus Financial Services. Indemnities may be required. Finance subject to status to over 18s only. Lexus Financial Services is a trading name of Toyota Financial Services (UK) PLC; registered Office: Great Burgh, Burgh Heath, Epsom, KT18 5UZ. Authorised and regulated by the Financial Conduct Authority. Terms and conditions apply. **^^Business users only. Initial rental and VAT applies. Available on new leases of model shown when ordered and proposed for finance between 1st April 2019 and 30th June 2019, registered and financed by 30th September 2019 through Lexus Financial Services on Lexus Contract Hire. Advertised rental is based on a 36 month maintenance included contract at 8,000 miles per annum with an initial rental of £2,064 +VAT. Excess mileage charges apply. You will not own the vehicle. Other finance offers are available but cannot be used in conjunction with this offer. Offer may be varied or withdrawn at any time. At participating Lexus Centres. Lexus Centres are independent of Lexus Financial Services. Indemnities may be required. Finance subject to status to over 18s only. Lexus Financial Services is a trading name of Toyota Financial Services (UK) PLC; registered Office: Great Burgh, Burgh Heath, Epsom, KT18 5UZ. Authorised and regulated by the Financial Conduct Authority. Terms and conditions apply. †Business users only. Initial rental and VAT applies. Available on new leases of model shown when ordered and proposed for finance between 1st April 2019 and 30th June 2019, registered and financed by 30th September 2019 through Lexus Financial Services on Lexus Contract Hire. Advertised rental is based on a 36 month customer maintained contract at 8,000 miles per annum with an initial rental of £1,992 +VAT. Excess mileage charges apply. You will not own the vehicle. Other finance offers are available but cannot be used in conjunction with this offer. Offer may be varied or withdrawn at any time. At participating Lexus Centres. Lexus Centres are independent of Lexus Financial Services. Indemnities may be required. Finance subject to status to over 18s only. Lexus Financial Services is a trading name of Toyota Financial Services (UK) PLC; registered Office: Great Burgh, Burgh Heath, Epsom, KT18 5UZ. Authorised and regulated by the Financial Conduct Authority. Terms and conditions apply. †*Business users only. Initial rental and VAT applies. Available on new leases of model shown when ordered and proposed for finance between 1st April 2019 and 30th June 2019, registered and financed by 30th September 2019 through Lexus Financial Services on Lexus Contract Hire. Advertised rental is based on a 36 month maintenance included contract at 8,000 miles per annum with an initial rental of £2,112 +VAT. Excess mileage charges apply. You will not own the vehicle. Other finance offers are available but cannot be used in conjunction with this offer. Offer may be varied or withdrawn at any time. At participating Lexus Centres. Lexus Centres are independent of Lexus Financial Services. Indemnities may be required. Finance subject to status to over 18s only. Lexus Financial Services is a trading name of Toyota Financial Services (UK) PLC; registered Office: Great Burgh, Burgh Heath, Epsom, KT18 5UZ. Authorised and regulated by the Financial Conduct Authority. Terms and conditions apply. ^^Business users only. Initial rental and VAT applies. Available on new leases of model shown when ordered and proposed for finance between 1st April 2019 and 30th June 2019, registered and financed by 30th September 2019 through Lexus Financial Services on Lexus Contract Hire. Advertised rental is based on a 48 month customer maintained contract at 8,000 miles per annum with an initial rental of £2,586 +VAT. Excess mileage charges apply. You will not own the vehicle. Other finance offers are available but cannot be used in conjunction with this offer. Offer may be varied or withdrawn at any time. At participating Lexus Centres. Lexus Centres are independent of Lexus Financial Services. Indemnities may be required. Finance subject to status to over 18s only. Lexus Financial Services is a trading name of Toyota Financial Services (UK) PLC; registered Office: Great Burgh, Burgh Heath, Epsom, KT18 5UZ. Authorised and regulated by the Financial Conduct Authority. Terms and conditions apply. ^^*Business users only. Initial rental and VAT applies. Available on new leases of model shown when ordered and proposed for finance between 1st April 2019 and 30th June 2019, registered and financed by 30th September 2019 through Lexus Financial Services on Lexus Contract Hire. Advertised rental is based on a 48 month maintenance included contract at 8,000 miles per annum with an initial rental of £2,808 +VAT. Excess mileage charges apply. You will not own the vehicle. Other finance offers are available but cannot be used in conjunction with this offer. Offer may be varied or withdrawn at any time. At participating Lexus Centres. Lexus Centres are independent of Lexus Financial Services. Indemnities may be required. Finance subject to status to over 18s only. Lexus Financial Services is a trading name of Toyota Financial Services (UK) PLC; registered Office: Great Burgh, Burgh Heath, Epsom, KT18 5UZ. Authorised and regulated by the Financial Conduct Authority. Terms and conditions apply. *††Business users only. Initial rental and VAT applies. Available on new leases of model shown when ordered and proposed for finance between 1st April 2019 and 30th June 2019, registered and financed by 30th September 2019 through Lexus Financial Services on Lexus Contract Hire. Advertised rental is based on a 48 month customer maintained contract at 8,000 miles per annum with an initial rental of £3,084 +VAT. Excess mileage charges apply. You will not own the vehicle. Other finance offers are available but cannot be used in conjunction with this offer. Offer may be varied or withdrawn at any time. At participating Lexus Centres. Lexus Centres are independent of Lexus Financial Services. Indemnities may be required. Finance subject to status to over 18s only. Lexus Financial Services is a trading name of Toyota Financial Services (UK) PLC; registered Office: Great Burgh, Burgh Heath, Epsom, KT18 5UZ. Authorised and regulated by the Financial Conduct Authority. Terms and conditions apply. *†*Business users only. Initial rental and VAT applies. Available on new leases of model shown when ordered and proposed for finance between 1st April 2019 and 30th June 2019, registered and financed by 30th September 2019 through Lexus Financial Services on Lexus Contract Hire. Advertised rental is based on a 48 month maintenance included contract at 8,000 miles per annum with an initial rental of £3,354 +VAT. Excess mileage charges apply. You will not own the vehicle. Other finance offers are available but cannot be used in conjunction with this offer. Offer may be varied or withdrawn at any time. At participating Lexus Centres. Lexus Centres are independent of Lexus Financial Services. Indemnities may be required. Finance subject to status to over 18s only. Lexus Financial Services is a trading name of Toyota Financial Services (UK) PLC; registered Office: Great Burgh, Burgh Heath, Epsom, KT18 5UZ. Authorised and regulated by the Financial Conduct Authority. Terms and conditions apply. ^**Business users only. Initial rental and VAT applies. Available on new leases of model shown when ordered and proposed for finance between 1st April 2019 and 30th June 2019, registered and financed by 30th September 2019 through Lexus Financial Services on Lexus Contract Hire. Advertised rental is based on a 48 month customer maintained contract at 8,000 miles per annum with an initial rental of £3,210 +VAT. Excess mileage charges apply. You will not own the vehicle. Other finance offers are available but cannot be used in conjunction with this offer. Offer may be varied or withdrawn at any time. At participating Lexus Centres. Lexus Centres are independent of Lexus Financial Services. Indemnities may be required. Finance subject to status to over 18s only. Lexus Financial Services is a trading name of Toyota Financial Services (UK) PLC; registered Office: Great Burgh, Burgh Heath, Epsom, KT18 5UZ. Authorised and regulated by the Financial Conduct Authority. Terms and conditions apply. *^**Business users only. Initial rental and VAT applies. Available on new leases of model shown when ordered and proposed for finance between 1st April 2019 and 30th June 2019, registered and financed by 30th September 2019 through Lexus Financial Services on Lexus Contract Hire. Advertised rental is based on a 48 month maintenance included contract at 8,000 miles per annum with an initial rental of £3,486 +VAT. Excess mileage charges apply. You will not own the vehicle. Other finance offers are available but cannot be used in conjunction with this offer. Offer may be varied or withdrawn at any time. At participating Lexus Centres. Lexus Centres are independent of Lexus Financial Services. Indemnities may be required. Finance subject to status to over 18s only. Lexus Financial Services is a trading name of Toyota Financial Services (UK) PLC; registered Office: Great Burgh, Burgh Heath, Epsom, KT18 5UZ. Authorised and regulated by the Financial Conduct Authority. Terms and conditions apply. *††Business users only. Initial rental and VAT applies. Available on new leases of model shown when ordered and proposed for finance between 1st April 2019 and 30th June 2019, registered and financed by 30th September 2019 through Lexus Financial Services on Lexus Contract Hire. Advertised rental is based on a 48 month customer maintained contract at 8,000 miles per annum with an initial rental of £3,570 +VAT. Excess mileage charges apply. You will not own the vehicle. Other finance offers are available but cannot be used in conjunction with this offer. Offer may be varied or withdrawn at any time. At participating Lexus Centres. Lexus Centres are independent of Lexus Financial Services. Indemnities may be required. Finance subject to status to over 18s only. Lexus Financial Services is a trading name of Toyota Financial Services (UK) PLC; registered Office: Great Burgh, Burgh Heath, Epsom, KT18 5UZ. Authorised and regulated by the Financial Conduct Authority. Terms and conditions apply. *††*Business users only. Initial rental and VAT applies. Available on new leases of model shown when ordered and proposed for finance between 1st April 2019 and 30th June 2019, registered and financed by 30th September 2019 through Lexus Financial Services on Lexus Contract Hire. Advertised rental is based on a 48 month maintenance included contract at 8,000 miles per annum with an initial rental of £3,840 +VAT. Excess mileage charges apply. You will not own the vehicle. Other finance offers are available but cannot be used in conjunction with this offer. Offer may be varied or withdrawn at any time. At participating Lexus Centres. Lexus Centres are independent of Lexus Financial Services. Indemnities may be required. Finance subject to status to over 18s only. Lexus Financial Services is a trading name of Toyota Financial Services (UK) PLC; registered Office: Great Burgh, Burgh Heath, Epsom, KT18 5UZ. Authorised and regulated by the Financial Conduct Authority. Terms and conditions apply. *^^Business users only. Initial rental and VAT applies. Available on new leases of model shown when ordered and proposed for finance between 1st April 2019 and 30th June 2019, registered and financed by 30th September 2019 through Lexus Financial Services on Lexus Contract Hire. Advertised rental is based on a 48 month customer maintained contract at 8,000 miles per annum with an initial rental of £5,820 +VAT. Excess mileage charges apply. You will not own the vehicle. Other finance offers are available but cannot be used in conjunction with this offer. Offer may be varied or withdrawn at any time. At participating Lexus Centres. Lexus Centres are independent of Lexus Financial Services. Indemnities may be required. Finance subject to status to over 18s only. Lexus Financial Services is a trading name of Toyota Financial Services (UK) PLC; registered Office: Great Burgh, Burgh Heath, Epsom, KT18 5UZ. Authorised and regulated by the Financial Conduct Authority. Terms and conditions apply. **^^*Business users only. Initial rental and VAT applies. Available on new leases of model shown when ordered and proposed for finance between 1st April 2019 and 30th June 2019, registered and financed by 30th September 2019 through Lexus Financial Services on Lexus Contract Hire. Advertised rental is based on a 48 month maintenance included contract at 8,000 miles per annum with an initial rental of £6,204 +VAT. Excess mileage charges apply. You will not own the vehicle. Other finance offers are available but cannot be used in conjunction with this offer. Offer may be varied or withdrawn at any time. At participating Lexus Centres. Lexus Centres are independent of Lexus Financial Services. Indemnities may be required. Finance subject to status to over 18s only. Lexus Financial Services is a trading name of Toyota Financial Services (UK) PLC; registered Office: Great Burgh, Burgh Heath, Epsom, KT18 5UZ. Authorised and regulated by the Financial Conduct Authority. Terms and conditions apply. **^Business users only. Initial rental and VAT applies. 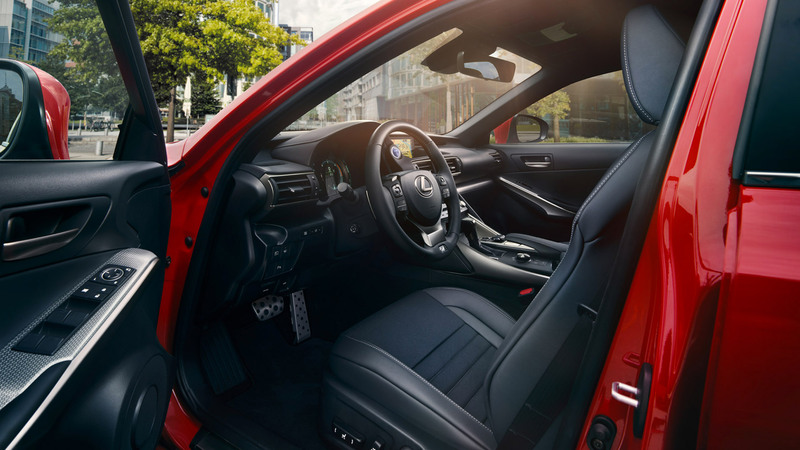 Available on new leases of model shown when ordered and proposed for finance between 1st April 2019 and 30th June 2019, registered and financed by 30th September 2019 through Lexus Financial Services on Lexus Contract Hire. Advertised rental is based on a 48 month customer maintained contract at 8,000 miles per annum with an initial rental of £7,152 +VAT. Excess mileage charges apply. You will not own the vehicle. Other finance offers are available but cannot be used in conjunction with this offer. Offer may be varied or withdrawn at any time. At participating Lexus Centres. Lexus Centres are independent of Lexus Financial Services. Indemnities may be required. Finance subject to status to over 18s only. Lexus Financial Services is a trading name of Toyota Financial Services (UK) PLC; registered Office: Great Burgh, Burgh Heath, Epsom, KT18 5UZ. Authorised and regulated by the Financial Conduct Authority. Terms and conditions apply. **^^Business users only. Initial rental and VAT applies. Available on new leases of model shown when ordered and proposed for finance between 1st April 2019 and 30th June 2019, registered and financed by 30th September 2019 through Lexus Financial Services on Lexus Contract Hire. Advertised rental is based on a 48 month maintenance included contract at 8,000 miles per annum with an initial rental of £7,536 +VAT. Excess mileage charges apply. You will not own the vehicle. Other finance offers are available but cannot be used in conjunction with this offer. Offer may be varied or withdrawn at any time. At participating Lexus Centres. Lexus Centres are independent of Lexus Financial Services. Indemnities may be required. Finance subject to status to over 18s only. Lexus Financial Services is a trading name of Toyota Financial Services (UK) PLC; registered Office: Great Burgh, Burgh Heath, Epsom, KT18 5UZ. Authorised and regulated by the Financial Conduct Authority. Terms and conditions apply. ††Business users only. Initial rental and VAT applies. Available on new leases of model shown when ordered and proposed for finance between 1st April 2019 and 30th June 2019, registered and financed by 30th September 2019 through Lexus Financial Services on Lexus Contract Hire. Advertised rental is based on a 48 month customer maintained contract at 8,000 miles per annum with an initial rental of £5,352 +VAT. Excess mileage charges apply. You will not own the vehicle. Other finance offers are available but cannot be used in conjunction with this offer. Offer may be varied or withdrawn at any time. At participating Lexus Centres. Lexus Centres are independent of Lexus Financial Services. Indemnities may be required. Finance subject to status to over 18s only. Lexus Financial Services is a trading name of Toyota Financial Services (UK) PLC; registered Office: Great Burgh, Burgh Heath, Epsom, KT18 5UZ. Authorised and regulated by the Financial Conduct Authority. Terms and conditions apply. ††*Business users only. Initial rental and VAT applies. Available on new leases of model shown when ordered and proposed for finance between 1st April 2019 and 30th June 2019, registered and financed by 30th September 2019 through Lexus Financial Services on Lexus Contract Hire. Advertised rental is based on a 48 month maintenance included contract at 8,000 miles per annum with an initial rental of £5,736 +VAT. Excess mileage charges apply. You will not own the vehicle. Other finance offers are available but cannot be used in conjunction with this offer. Offer may be varied or withdrawn at any time. At participating Lexus Centres. Lexus Centres are independent of Lexus Financial Services. Indemnities may be required. Finance subject to status to over 18s only. Lexus Financial Services is a trading name of Toyota Financial Services (UK) PLC; registered Office: Great Burgh, Burgh Heath, Epsom, KT18 5UZ. Authorised and regulated by the Financial Conduct Authority. Terms and conditions apply. ***Business users only. Initial rental and VAT applies. Available on new leases of model shown when ordered and proposed for finance between 1st April 2019 and 30th June 2019, registered and financed by 30th September 2019 through Lexus Financial Services on Lexus Contract Hire. Advertised rental is based on a 48 month customer maintained contract at 8,000 miles per annum with an initial rental of £5,442 +VAT. Excess mileage charges apply. You will not own the vehicle. Other finance offers are available but cannot be used in conjunction with this offer. Offer may be varied or withdrawn at any time. At participating Lexus Centres. Lexus Centres are independent of Lexus Financial Services. Indemnities may be required. Finance subject to status to over 18s only. Lexus Financial Services is a trading name of Toyota Financial Services (UK) PLC; registered Office: Great Burgh, Burgh Heath, Epsom, KT18 5UZ. Authorised and regulated by the Financial Conduct Authority. Terms and conditions apply. ****Business users only. Initial rental and VAT applies. Available on new leases of model shown when ordered and proposed for finance between 1st April 2019 and 30th June 2019, registered and financed by 30th September 2019 through Lexus Financial Services on Lexus Contract Hire. Advertised rental is based on a 48 month maintenance included contract at 8,000 miles per annum with an initial rental of £5,832 +VAT. Excess mileage charges apply. You will not own the vehicle. Other finance offers are available but cannot be used in conjunction with this offer. Offer may be varied or withdrawn at any time. At participating Lexus Centres. Lexus Centres are independent of Lexus Financial Services. Indemnities may be required. Finance subject to status to over 18s only. Lexus Financial Services is a trading name of Toyota Financial Services (UK) PLC; registered Office: Great Burgh, Burgh Heath, Epsom, KT18 5UZ. Authorised and regulated by the Financial Conduct Authority. Terms and conditions apply.